William Clark Styron, Jr. (11 June 1925 – 1 November 2006) was an American novelist. 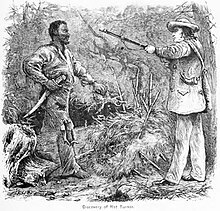 He is most famous for two controversial novels: the Pulitzer Prize-winning The Confessions of Nat Turner (1967), depicting the life of Nat Turner, the leader of an 1831 Virginia slave revolt, and Sophie's Choice (1979), which deals with the Holocaust. It could be all unwittingly that I wrote in Darkness Visible what amounted to a Rosetta stone for my other work. Writers ever since writing began have had problems, and the main problem narrows down to just one word — life. Certainly this might be an age of so-called faithlessness and despair we live in, but the new writers haven’t cornered any market on faithlessness and despair, any more than Dostoyevsky or Marlowe or Sophocles did. Every age has its terrible aches and pains, its peculiar new horrors, and every writer since the beginning of time, just like other people, has been afflicted by what that same friend of mine calls “the fleas of life”—you know, colds, hangovers, bills, sprained ankles, and little nuisances of one sort or another. They are the constants of life, at the core of life, along with nice little delights that come along every now and then. When, in the autumn of 1947, I was fired from the first and only job I have ever held, I wanted one thing out of life: to become a writer. I left my position as manuscript reader at the McGraw-Hill Book Company with no regrets; the job had been onerous and boring. It did not occur to me that there would be many difficulties to impede my ambition; in fact, the job itself had been an impediment. All I knew was that I burned to write a novel and I could not have cared less that my bank account was close to zero, with no replenishment in sight. At the age of twenty-two I had such pure hopes in my ability to write not just a respectable first novel, but a novel that would be completely out of the ordinary, that when I left the McGraw-Hill Building for the last time I felt the exultancy of a man just released from slavery and ready to set the universe on fire. My life and work have been far from free of blemish, and so I think it would be unpardonable for a biographer not to dish up the dirt. Surely mankind has yet to be born. Surely this is true! Great God, how early it is! Grieving, yet somehow unbending, steadfast, unafraid, the voice rose through the evening like memory, and a gust of wind blew up from the river, dimming the song, rustling the trees, then died and became still. I’ll lay in de grave and stretch out my arms … Suddenly the voice ceased, and all was quiet. Then what I done was wrong, Lord? I said. And if what I done was wrong, is there no redemption? I raised my eyes upward but there was no answer, only the gray impermeable sky and night falling fast over Jerusalem. I shivered in the knowledge of the futility of all ambition. My mouth was sour with the yellow recollection of death and blood-smeared fields and walls. I watched the girl slip away, vanish without a hand laid upon her. Who knows but whether we were not doomed to lose. I know nothing any longer. Nothing. Did I really wish to vouchsafe a life for the one that I had taken? I raise my eyes upward. There alone amidst the blue, steadfast, unmoving, fiery marvel of brightness, shines the morning star. Never has that star seemed so radiant, and I stand gazing at it and do not move though the chill of the damp floor imprisons my feet in piercing icebound pain. Part IV : "It Is Done…"
I would have done it all again. I would have destroyed them all. Yet I would have spared one. I would have spared her that showed me Him whose presence I had not fathomed or maybe never even known. Great God, how early it is! Until now I had almost forgotten His name. “Come!” the voice booms, but commanding me now: Come, My son! I turn in surrender. Someday I will understand Auschwitz. This was a brave statement but innocently absurd. No one will ever understand Auschwitz. Her thought process dwindled, ceased. Then she felt her legs crumple. "I can't choose! I can't choose!" Let your love flow out on all living things. These words at some level have the quality of a strapping homily. Nonetheless, they are remarkably beautiful, strung together in their honest lump-like English syllables... Let your love flow out on all living things. But there are a couple of problems with this precept of mine. The first is, of course, that it is not mine. It springs from the universe and is the property of God, and the words have been intercepted — on the wing, so to speak — by such mediators as Lao-tzu, Jesus, Gautama Buddha and thousands upon thousands of lesser prophets, including your narrator, who heard the terrible truth of their drumming somewhere between Baltimore and Wilmington and set them down with the fury of a madman sculpting in stone. Depression is a disorder of mood, so mysteriously painful and elusive in the way it becomes known to the self — to the mediating intellect — as to verge close to being beyond description. It thus remains nearly incomprehensible to those who have not experienced it in its extreme mode. It is hopelessness even more than pain that crushes the soul. … One does not abandon, even briefly, one's bed of nails, but is attached to it wherever one goes. When I was a young writer there had been a stage where Camus, almost more than any other contemporary literary figure, radically set the tone for my own view of life and history. I read his novel The Stranger somewhat later than I should have — I was in my early thirties — but after finishing it I received the stab of recognition that proceeds from reading the work of a writer who has wedded moral passion to a style of great beauty and whose unblinking vision is capable of frightening the soul to its marrow. The cosmic loneliness of Meursault, the hero of that novel, so haunted me that when I set out to write The Confessions of Nat Turner I was impelled to use Camus’s device of having the story flow from the point of view of a narrator isolated in his jail cell during the hours before his execution. For me there was a spiritual connection between Meursault’s frigid solitude and the plight of Nat Turner — his rebel predecessor in history by a hundred years — likewise condemned and abandoned by man and God. Camus’s essay “Reflections on the Guillotine” is a virtually unique document, freighted with terrible and fiery logic; it is difficult to conceive of the most vengeful supporter of the death penalty retaining the same attitude after exposure to scathing truths expressed with such ardor and precision. I know my thinking was forever altered by that work, not only turning me around completely, convincing me of the essential barbarism of capital punishment, but establishing substantial claims on my conscience in regard to matters of responsibility at large. Camus was a great cleanser of my intellect, ridding me of countless sluggish ideas, and through some of the most unsettling pessimism I had ever encountered causing me to be aroused anew by life’s enigmatic promise. One of the century’s most famous intellectual pronouncements comes at the beginning of The Myth of Sisyphus: “There is but one truly serious philosophical problem, and that is suicide. Judging whether life is or is not worth living amounts to answering the fundamental question of philosophy.” Reading this for the first time I was puzzled and continued to be throughout much of the essay, since despite the work’s persuasive logic and eloquence there was a lot that eluded me, and I always came back to grapple vainly with the initial hypothesis, unable to deal with the premise that anyone should come close to wishing to kill himself in the first place. A later short novel, The Fall, I admired with reservations; the guilt and self-condemnation of the lawyer-narrator, gloomily spinning out his monologue in an Amsterdam bar, seemed a touch clamorous and excessive, but at the time of my reading I was unable to perceive that the lawyer was behaving very much like a man in the throes of clinical depression. Such was my innocence of the very existence of this disease. This general unawareness of what depression is really like was apparent most recently in the matter of Primo Levi, the remarkable Italian writer and survivor of Auschwitz who, at the age of sixty-seven, hurled himself down a stairwell in Turin in 1987. Since my own involvement with the illness, I had been more than ordinarily interested in Levi’s death, and so, late in 1988, when I read an account in The New York Times about a symposium on the writer and his work held at New York University, I was fascinated but, finally, appalled. For, according to the article, many of the participants, worldly writers and scholars, seemed mystified by Levi’s suicide, mystified and disappointed. It was as if this man whom they had all so greatly admired, and who had endured so much at the hands of the Nazis — a man of exemplary resilience and courage — had by his suicide demonstrated a frailty, a crumbling of character they were loath to accept. In the face of a terrible absolute — self-destruction — their reaction was helplessness and (the reader could not avoid it) a touch of shame. My annoyance over all this was so intense that I was prompted to write a short piece for the op-ed page of the Times. The argument I put forth was fairly straightforward: the pain of severe depression is quite unimaginable to those who have not suffered it, and it kills in many instances because its anguish can no longer be borne. The prevention of many suicides will continue to be hindered until there is a general awareness of the nature of this pain. 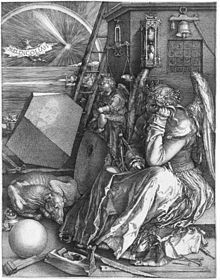 Through the healing process of time — and through medical intervention or hospitalization in many cases — most people survive depression, which may be its only blessing; but to the tragic legion who are compelled to destroy themselves there should be no more reproof attached than to the victims of terminal cancer. When I was first aware that I had been laid low by the disease, I felt a need, among other things, to register a strong protest against the word “depression.” Depression, most people know, used to be termed “melancholia,” a word which appears in English as early as the year 1303 and crops up more than once in Chaucer, who in his usage seemed to be aware of its pathological nuances. “Melancholia” would still appear to be a far more apt and evocative word for the blacker forms of the disorder, but it was usurped by a noun with a bland tonality and lacking any magisterial presence, used indifferently to describe an economic decline or a rut in the ground, a true wimp of a word for such a major illness. It may be that the scientist generally held responsible for its currency in modern times, a Johns Hopkins Medical School faculty member justly venerated — the Swiss-born psychiatrist Adolf Meyer — had a tin ear for the finer rhythms of English and therefore was unaware of the semantic damage he had inflicted by offering “depression” as a descriptive noun for such a dreadful and raging disease. Nonetheless, for over seventy-five years the word has slithered innocuously through the language like a slug, leaving little trace of its intrinsic malevolence and preventing, by its very insipidity, a general awareness of the horrible intensity of the disease when out of control. As one who has suffered from the malady in extremis yet returned to tell the tale, I would lobby for a truly arresting designation. “Brainstorm,” for instance, has unfortunately been preempted to describe, somewhat jocularly, intellectual inspiration. But something along these lines is needed. Told that someone’s mood disorder has evolved into a storm — a veritable howling tempest in the brain, which is indeed what a clinical depression resembles like nothing else — even the uninformed layman might display sympathy rather than the standard reaction that “depression” evokes, something akin to “So what?” or “You’ll pull out of it” or “We all have bad days.” The phrase “nervous breakdown” seems to be on its way out, certainly deservedly so, owing to its insinuation of a vague spinelessness, but we still seem destined to be saddled with “depression” until a better, sturdier name is created. There is a region in the experience of pain where the certainty of alleviation often permits superhuman endurance. We learn to live with pain in varying degrees daily, or over longer periods of time, and we are more often than not mercifully free of it. When we endure severe discomfort of a physical nature our conditioning has taught us since childhood to make accommodations to the pain’s demands — o accept it, whether pluckily or whimpering and complaining, according to our personal degree of stoicism, but in any case to accept it. Except in intractable terminal pain, there is almost always some form of relief; we look forward to that alleviation, whether it be through sleep or Tylenol or self-hypnosis or a change of posture or, most often, through the body’s capacity for healing itself, and we embrace this eventual respite as the natural reward we receive for having been, temporarily, such good sports and doughty sufferers, such optimistic cheerleaders for life at heart. In depression this faith in deliverance, in ultimate restoration, is absent. The pain is unrelenting, and what makes the condition intolerable is the foreknowledge that no remedy will come — not in a day, an hour, a month, or a minute. If there is mild relief, one knows that it is only temporary; more pain will follow. It is hopelessness even more than pain that crushes the soul. So the decision-making of daily life involves not, as in normal affairs, shifting from one annoying situation to another less annoying — or from discomfort to relative comfort, or from boredom to activity — but moving from pain to pain. One does not abandon, even briefly, one's bed of nails, but is attached to it wherever one goes. For those who have dwelt in depression’s dark wood, and known its inexplicable agony, their return from the abyss is not unlike the ascent of the poet, trudging upward and upward out of hell’s black depths and at last emerging into what he saw as “the shining world.” There, whoever has been restored to health has almost always been restored to the capacity for serenity and joy, and this may be indemnity enough for having endured the despair beyond despair. William Styron, Novelist, Dies at 81, The New York Times obituary. Tidewater traumas profile by James Campbell at The Guardian Unlimited website (March 22, 2003).